It’s only in this final stage – adding the artificial colours, flavours and individual shapes and sizes, that many of these foods are differentiated from each other. There may appear to be 138 different breakfast cereals in your local supermarket, but if you break them down and look at them nutritionally, they are virtually all the same product. It’s only the shapes and colours and flavours that vary. These breakfast cereals are all made of wheat, oats, corn and so on, and they are all loaded with sugar. In 90% of cases, most of the calories are all coming from the same things. From a biodiversity point of view – processed foods are nutritionally bland compared to fresh whole foods. So, we avoid processed foods as much as possible to help us meet Core Principle 1 and Core Principle 2. Next, processed foods tend to be lower in micro nutrients (vitamins and minerals) than fresh whole foods. Ideally, we want a diet super-high in vitamins and minerals, above the standard advise to eat our 5-a-day, and we’re far more likely to get those nutrients eating scrambled eggs, a big crunchy salad, and a dinner of fresh fish and mixed greens, than from eating pop tarts and microwave ready-meals. Food manufacturers combine refined sugar, processed oils (usually vegetable oils or palm oil) and refined salt in precise quantities in processed foods in order to make those foods as irresistibly tasty as they can. There is a whole world of science behind this which is fascinating and scary all at once, how manufacturers make these so-called hyperpalatable foods to hit your ‘bliss point’ – that’s the precise combination of sugar, fats and salt to make you crave that food as much as possible – their goal is to sell more food, but the end result is overeating: these foods are addictive; people spend more money; eat too much; it’s contributing to the rise in obesity and type-2 diabetes. However, in many cases, they replaced the processed vegetable oils with palm oil, and this swap has brought it’s own problems. There are now growing concerns that palm oil may pose some cancer risk, and some now agree that palm oil raises cholesterol as much as trans fats did in the first place. The jury is still out on the science of all this – but the MND way is simple, we just avoid all this by not eating processed foods – simple! Beyond nutrition, there are further reasons we want to reduce or completely eliminate processed foods from our diet. All this increased demand for palm oil is threatening to cause the extinction of the orangutan. Growing oil palms for the palm oil business is a major cause of deforestation in Malaysia and Indonesia, and if we don’t urgently stop this deforestation, the orangutan will be extinct in little over a decade. In the UK, less than 20% of the money you spend in a supermarket ends up going back to the farmers. So think about that, if 20% goes to pay for the ‘real food’ then what is the other 80% paying for? Processing, artificial colours and flavours, packaging, distribution, shelf space, marketing and advertising. Now I don’t know about you, but I’d rather spend my money buying nutrition for my family, rather than paying for the ad agency that came up with some clever slogan to sell more sugar to my kids, or the TV ad campaign designed to get me to buy more food than I need. No wonder farmers are being squeezed so hard and struggling to make a living – and this all drives poor animal welfare standards, poor topsoil management and more. In the US, it’s worse, barely 10% of supermarket spend goes back to the farm. And finally, packaging – I like to buy vegetables that still have some mud on them, I like to know my food is fresh and local if possible. Vegetables don’t need to be sealed in plastic wrapping. All that single-use plastic finds it’s way to our seas and oceans, or ends up in a landfill site somewhere, and I never met anyone who wants a landfill site near their home. Processed foods are hugely wasteful: think about that frozen oven pizza, it tends to have a cardboard box, then inside plastic wrap, around the pizza which sits on a polystyrene ‘tray’, and all that packaging ends up in the bin. If we stop buying processed foods, and stick to fresh whole foods, we avoid all that wasteful packaging. Buy local and we minimise carbon mileage too. So there are lots of reasons behind Core Principle 3 of Mother Nature’s Diet. 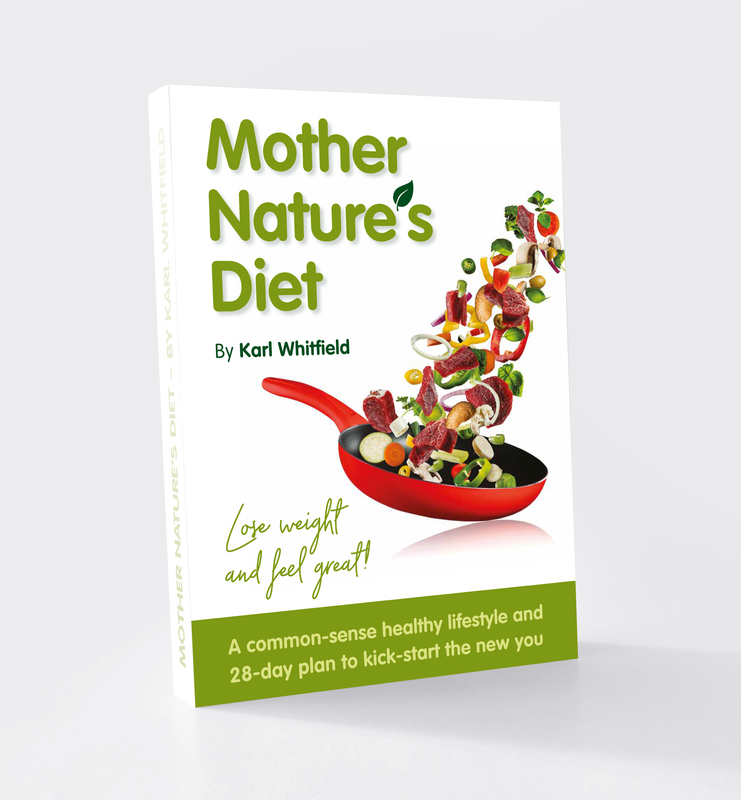 Healthier and better for us, better for the environment, better for animal welfare and better for farmers – everything about Mother Nature’s Diet is designed to do our best to meet all these criteria. ← Are we struggling with the wrong things?